Our Company is creating new opportunities in the green economy. 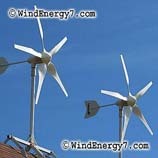 WindEnergy7 LLC is creating green jobs all across the United States. 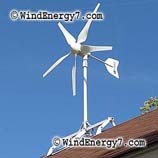 You Can Become a Wind Turbine, Wind/Solar Hybrid System Dealer. What are you waiting for? WindEnergy7 LLC is an Ohio based inventor and manufacturer of home energy products is currently forming a customer/dealer network. Your involvement is encouraged to atleast have a look and think about what it would be like to be the local dealer in your community. Dealership details and agreements are only available to customers who have purchased a system. If you buy a system, you can become a wind turbine dealer dealer with no further investment. There’s a very simple agreement and structure, all win/win. If you are committed enough to buy a system and learn from us about our wind turbines from direct experience, you can become a dealer. We take so much time and effort to educate customers and dealers all about wind/solar hybrid technology. 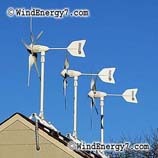 This entry was posted on Tuesday, June 29th, 2010 at 1:11 AM	and is filed under solar energy, wind energy. You can follow any responses to this entry through the RSS 2.0 feed. You can leave a response, or trackback from your own site.